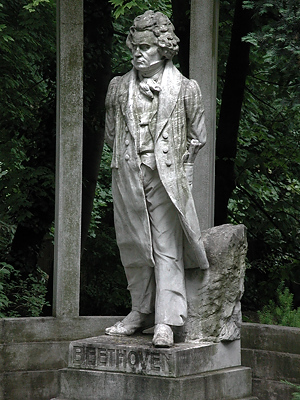 Ludwig van Beethoven (1770-1827) spent his adult life in Vienna, and today the city celebrates his life with dozens of statues, monuments, and museums. 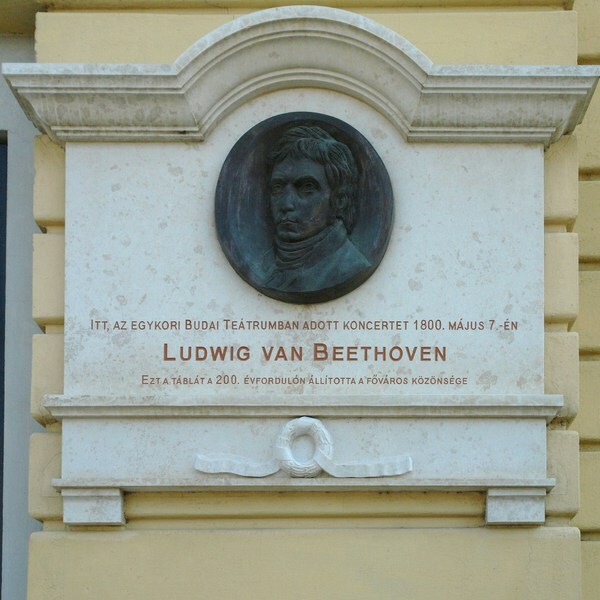 Beethoven had 67 different addresses in the Austrian capital. 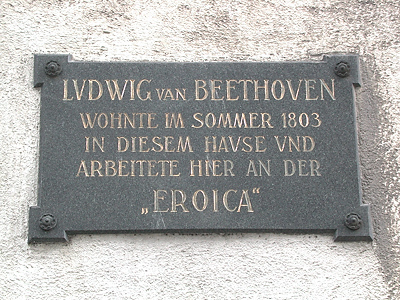 Walking in the city is literally following the historical sites where Beethoven lived and worked. 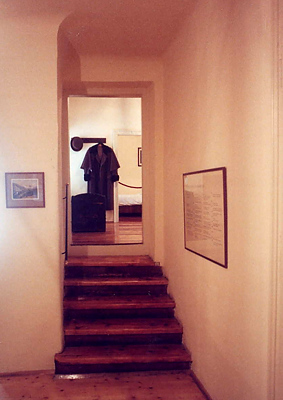 Eroica House Museum. Dedicated to his famous Third Symphony. Copies of documents related to the first performance and Beethoven’s feelings about Napoleon. 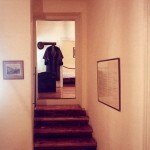 Images of the Dobling area of Vienna when Beethoven lived there. Heligenstadt Testament Museum. Where he lived when he realized his deafness would not improve. He wrote his famous Heligenstadt Testament here. 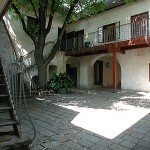 It is a small apartment in a picturesque little courtyard. Beethovenplatz. 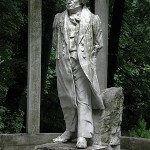 A monumental statue of the composer. 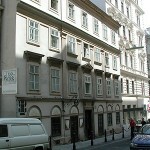 This is very close to the great concert halls in Vienna, the Musikverein and Konzerthaus. 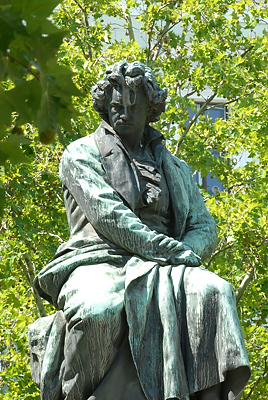 An earlier version of this statue is in the lobby of the Konzarthaus, and people often plan to meet one another “next to Beethoven” before a concert. Heiligenstadt Park. 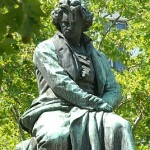 Dr. Nelson’s favorite statue of Beethoven, shown holding his hat and going for a walk. Heiligenstadt is in Vienna’s 19th district. 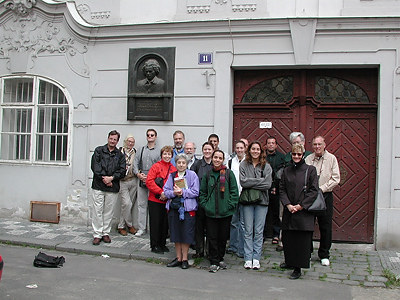 All of our trips Vienna take a lovely walking tour where we visit several Beethoven sites. Collection of Ancient Musical Instruments. 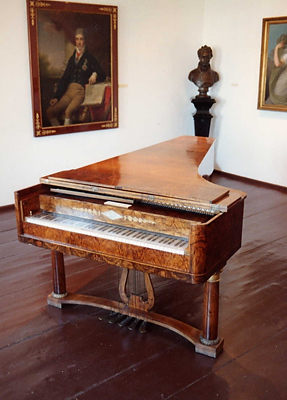 This great museum has centuries of fascinating instruments, including original paintings of Beethoven and many instruments from the composer’s lifetime. Laimgrubengasse 22. 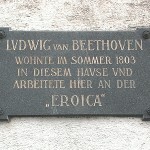 One of the buildings where Beethoven lived as he worked on his 9th Symphony. Very close to one of the hotels we use in Vienna. 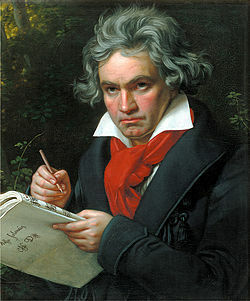 Today there is a good restaurant next door named “Ludwig Van”. Theater an der Wien. 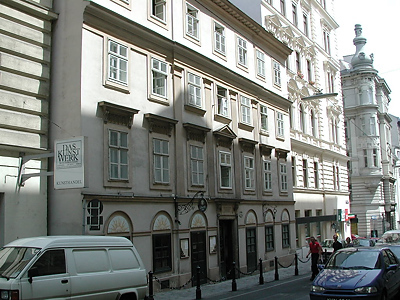 Beethoven used an apartment here between 1804 and 1806. 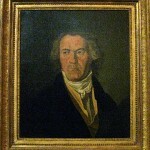 3rd, 5th, 6th Symphonies, Fidelio and other works were premiered here. 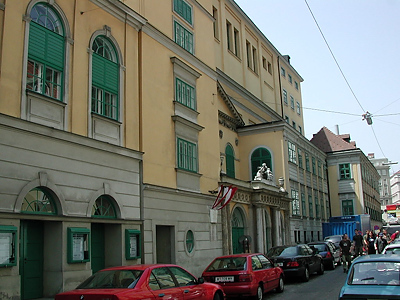 Today, the theater is one of Vienna’s four opera houses. 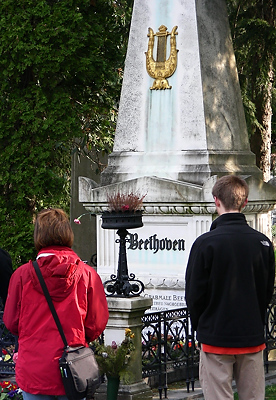 Beethoven’s Grave at Central Cemetery. 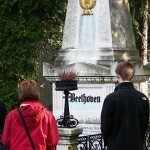 It is a moving experience to stand here and know that Beethoven’s remains are ten feet in front of you. Within a few feet are the graves of Schubert, Johann Strauss, Jr., and Brahms. 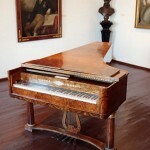 Beethoven Museum in Baden. Baden is a beautiful little village about an hour south of Vienna. (Easy to get to on a tram that leaves across from the Vienna State Opera.) 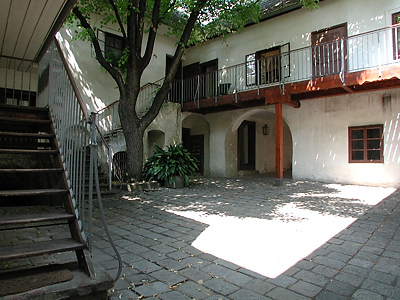 The composer’s apartment here (left) is one of the few of his residences that can be visited. Budapest. 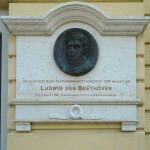 Beethoven performed here in 1800. 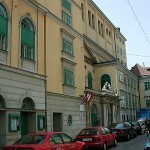 The concert hall is part of the palace complex on the Buda side of the Danube River. Prague. 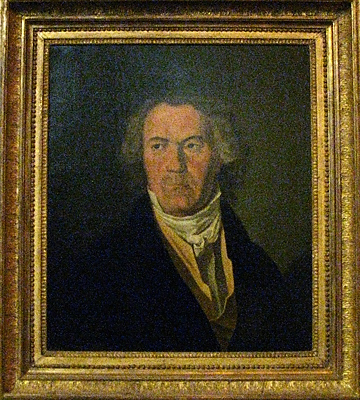 Beethoven visited Prague many times. 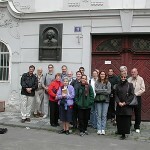 Here is one of our groups in front of one of his residences. I’m delighted to find out about this and looking forward to joining one of these trips in the near future. 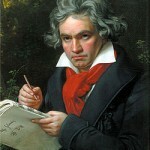 Beethoven is my absolute favorite composer of all time. I’ll definitely and will join the trip soon.